WCHS was founded in 1985 with the dream of preventing and eliminating animal suffering. Over the years, we have worked towards achieving that dream by operating a shelter that is staffed from 8am to 10pm for taking in unwanted or stray animals. We never turn an animal in need away. Luckily, through the dedicated efforts of our volunteers, we are able to extend this vital service to equines (horses, donkeys and mules) in need, as well. Our shelter farm is equipped to take in any equine in need of help, and to place those animals in loving new homes whenever possible. We will never turn any equine in need away, and we do not charge a fee for taking an unwanted equine. With two full-time live-in caretakers/trainers we are now able to train and do remedial work with a wide variety of horses. Age is not an issue. 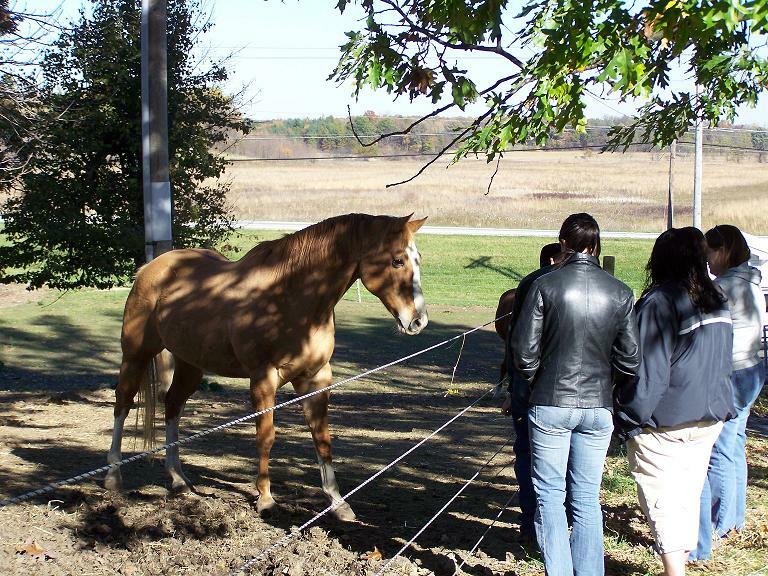 Many of our most placeable horses are older and have "been there, done that" types of horses. Whether it is for 4H, trails or dressage, the chances are we have a horse that is a great prospect. The Equine Rescue Program complies with all American Association of Equine Practitioners (AAEP) care guidelines. The cost of caring for these animals is higher than for most small animals so donations are always needed. Appointments are needed for surrendering and looking at our equines. please see our How you can help page.